Insomniac Games’ Marvel’s Spider-Man officially has a release date, and with that reveal has come plenty of new information on the webslinger’s next adventure. Game Informer’s cover story and supplementary interview with Creative Director Bryan Intihar dives deep into the opening of the game, while also offering plenty of new story details. If you’ve already read up the newest updates regarding the game’s unlockable costumes and lack of microtransactions, check out what else GI’s story has revealed. The next major PlayStation 4 exclusive is God of War, a game that launches April 20, but you can pre-order it now. 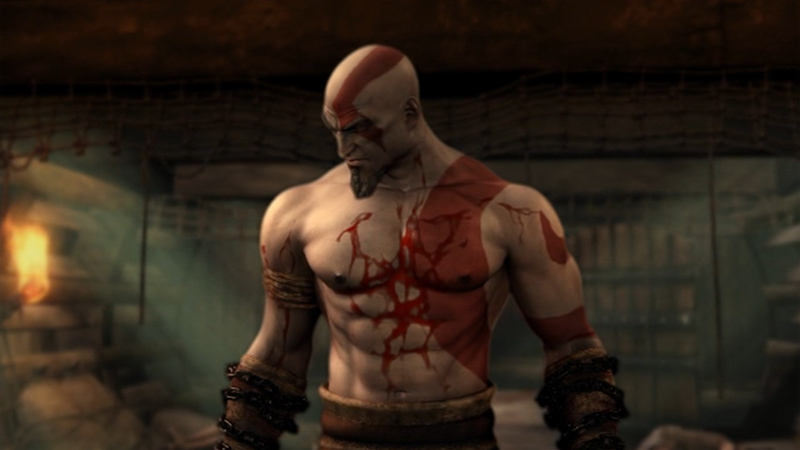 This time around, developer Sony Santa Monica promises Kratos, the GoW himself, has some depth to him. He’s not just raging at the world, as he’s been known to do in previous entries. This time around he’s joined by his son Atreus as they head into the land of the Norse gods. Most importantly, he has a beard. But fans of the series shouldn’t worry Sony has created a low-key game about feelings. This is still a God of War game, and although Kratos has traded in his chain-blades for a magic axe, he still slices through enemies, spilling gallons of blood and gore. If you’re planning to pre-order God of War, you’ll want to know where you can get it, what comes in the special editions, and how much each version costs. Strap in. Here comes a firehose spray of God of War pre-order info. First, the pre-order bonus. If you pre-order God of War from a participating retailer, you’ll get three shield skins. They’re called Buckler of the Forge, Dökkenshieldr, and Shining Elven Soul Shield. Now say that three times fast. Pre-order God of War from GameStop, and you’ll get the Luck of Ages XP Boost, an in-game item that gives you additional experience points. This is the standard version of the game, so all you get are any standard pre-order bonuses depending where you buy it. Pre-order the Digital Deluxe Edition in the US or Canada, and you’ll get a physical Kratos & Atreus pin. If you want to think about God of War each time you pick up a controller or glance at your console, buy the Limited Edition God of War PS4 Pro Bundle. It comes with a 1TB hard drive and some slick God of War ornamentation. Watch Us Play Through the Original God of War – Live Now! As part of my ongoing mission to revisit all the God of War games, I’m going to be streaming the first God of War live on twitch.tv/ign and youtube.com/ign. Come hang out with me as I go through the first two hours of the original game and talk about what made Kratos’ first outing both a genre defining and platform defining game. Capcom has rolled out a new update for Monster Hunter World. The patch is available now on both PS4 and Xbox One, but it’s fairly minor, primarily addressing a few problems that cropped up in the wake of the game’s big 2.0 update. Specifically, the new patch addresses an issue with the bow’s Dragon Piercer attack. In the game’s previous update, Capcom tweaked the attack in order to squash a bug that allowed players to fire past the attack’s angle limitations. However, this resulted in a new issue with the target reticle. In addition to that, the update fixes an issue with item window order when choosing a loadout during Arena Quests. Capcom says this has now been “retooled as part of the game design,” so going forward players will find fixed items in the following order from left to right: Whetstone, Capture Net, Fishing Rod, and BBQ Spit. You can find the full patch notes on Capcom’s blog. This week marks the start of the Spring Blossom Fest, the first seasonal event in Monster Hunter World. Along with a new look for the Gathering Hub, players will be able to participate in daily activities and a number of new Event Quests, including ones for the retro Mega Man Palico armor. The Tempered Deviljho Event Quest is also slated to return during the Spring Blossom Fest. A few weeks ago, Marvel Studios released an incredible new trailer for their upcoming film, Avengers: Infinity War, which will be in theaters on April 27 in the US. You can check out our full trailer breakdown right here. With the aforementioned date getting closer, Marvel has released 22 new exciting character posters across social media to whet your movie-going appetite. You can see all of the posters in the slideshow below. Scroll on! The latest Fortnite update has brought with it a new addition to Battle Royale in the form of Vending Machines. These present players with an opportunity to buy items using the materials they’ve gathered during the match, and you’ll tend to see them in the same locations–but not always. Here’s where to find them and exactly how they work. Vending Machines were added as part of Fortnite’s 3.4 content update for mobile, PS4, Xbox One, and PC. This is part of developer Epic Games’ new plan to roll out new content every other week. These content updates won’t individually require you to download anything, as it seems the additions will be included as part of earlier patches. The 3.4 content update has also kicked off a new limited-time mode, High Explosives v2, and made weapon balance changes. After Gillian Anderson announced she would not return for the second season of American Gods, following the departure of co-showrunners Bryan Fuller and Michael Green, it now seems as though her role as Media will not be recast. Instead, the character is being outright replaced. According to TV Line, producers on the series are looking to fill the new regular role of New Media, which will represent social media as Anderson’s character did for pop culture in the first season. Though no official announcements have been made, the report says the series is looking for a 20-something Asian woman to play the role. Including a god of New Media is an intriguing addition to the show, given that the Neil Gaiman-authored novel that serves as the show’s source material was first published in 2001. That’s before MySpace, Facebook, Twitter, or any other social media was able to take hold of the world. It should be interesting to see how the new character impacts the series. While production of Season 2 has yet to begin, a new showrunner has been found to take over for Fuller and Green. Jesse Alexander–an alum of shows that include Star Trek: Discovery, Hannibal, Heroes, and Alias–has come aboard as executive producer. He will work alongside Gaiman in bringing the new episodes to life. It’s believed that American Gods may return in early 2019. Astro made a name for itself by creating high-end gaming headsets with audio quality and comfort that matched the accompanied asking price. Both the A40 and A50 models led that charge, but the company recently began to offer more budget-friendly products. The wired A10 was the first sub-$100 headset from Astro and caught our attention due to its unparalleled durability. Now we have a wireless iteration with the Astro A20. This headset goes for $150 USD / £150 GBP / $250 AUD for the standard design, which is available for PC, PlayStation 4, and Xbox One, and come in platform-coordinated color accents. Here, we have the Call of Duty Edition for Xbox One and PC with a silver camouflage touch, which tacks on an extra $10. Feel free to jump to breakdowns of specific aspects of the A20 headset or click through our gallery above. A new patch is on the way to PlayerUnknown’s Battlegrounds. This marks the ninth major update the game has received since it left Early Access on PC last December, and it introduces a new spectator mode and a few bug fixes. The biggest addition to the game is a new Killer Spectate mode. Following the update, you will be able to watch the player who killed you during a match by clicking on the button from the result screen. If your killer ends up dying, you’ll be able to continue spectating the player who killed them. Additionally, you can spectate the player who was nearest to your death location if you die by the Blue or Red Zones or from fall damage. You will also have the ability to report the player you are watching in Killer Spectate mode by pressing R. However, you won’t be able to use Killer Spectate if you’re watching the Death Cam. Beyond that, the new update addresses a small handful of bugs. Namely, it fixes an issue that would cause your vehicle to suddenly flip over or return to its starting point while driving, as well as one that prevented the username of your killer from appearing in Death Cam. You can find the full patch notes on Steam. The update is scheduled to arrive to the game tonight, April 4, following a round of maintenance. Developer PUBG Corp. is taking servers offline for three hours beginning at 7 PM PT / 10 PM ET to move its current test build to the live game. A smaller map, Codename: Savage, is also currently in testing; you can see it in action in the video above. The status page on Epic’s website shows that matchmaking is suffering from a “major outage.” The page adds that matchmaking has been disabled as the studio works to resolve the problem, though there’s no ETA for how long this will last. This move came shortly after the studio took two other steps to deal with the situation: It’s turned off the Squads version of the High Explosives v2 playlist and instituted a cooldown in between attempts to join the matchmaking queue. These issues come on the same day that Epic rolled out the 3.4 content update for Fortnite. This did not require a download but did add new content–namely, the Vending Machine–and make weapon balance changes. Meanwhile, the PS4 version received a new update to resolve a crash, although that patch was mistakenly much larger than intended. High Explosives v2 is the latest limited-time mode to be added to Battle Royale. As the name suggests, it plays out like the earlier version of High Explosives, as players are restricted to explosive weapons only. This iteration includes some of the more recently added weapons, including Remote Explosives and the Guided Missile.